The future of solar power has become a “battle of billionaires,” Bloomberg Business reports. It’s a battle that has pitted Elon Musk‘s SolarCity against Nevada public utility NV Energy, part of Warren Buffett’s business empire. SolarCity, co-founded by Musk a decade ago, has become America’s largest manufacturer and leaser of solar panels, operating in nearly two dozen states and generating about $350 million in annual revenue. SolarCity has done particularly well in Nevada since entering the market there in 2014. Thanks to economic incentives and Nevada’s solar abundance, SolarCity quickly became the state’s leading installer of rooftop panels as Nevada amassed the highest percentage of solar energy of any state in the union. Warren Buffett: The guy who is trying to kill solar? The guy who disowned his granddaughter for talking to Jamie Johnson about being rich (one of the 1%). The guy who’s owning IBM with his $5 bln investment. I’m getting where I don’t like Mr Buffett very much. 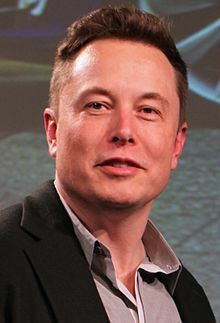 Elon, you’re our man and we know you’re not going to back down from this fight!